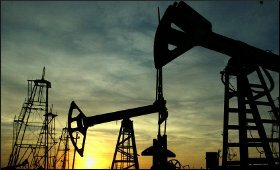 Oil prices continued to rise slightly on Friday after slumping over 2 per cent earlier this week. The West Texas Intermediate (WTI) for September delivery rose $0.45 to settle at $65.91 a barrel on the New York Mercantile Exchange, while Brent crude for October delivery rose $0.40 to close at $71.83 a barrel on the London ICE Futures Exchange, Xinhua reported. The market was under pressure earlier in the week as official data showed the US crude inventories rose nexpectedly recently. The Energy Information Administration said in its weekly report on Wednesday that US commercial crude inventories rose by 6.8 million barrels in the week through August 10, way higher than market estimates of a decrease of 2.5 million barrels. WTI and Brent oil prices rebounded slightly on Thursday and Friday after touching the lowest levels in months on Wednesday. On the data front, the number of US oil drilling rigs were unchanged this week at 869 rigs, according to a weekly report from energy company Baker Hughes on Friday.